The endless road indicates to start on a journey of exploration and self-discovery! As thrilling as it sounds, bikers go out of their way to discovering their inner adventurer in them. The experience of exploring new corners on your bike cannot be replaced in any way. Motorcycle tours are probably the most adventurous ways to explore destinations. 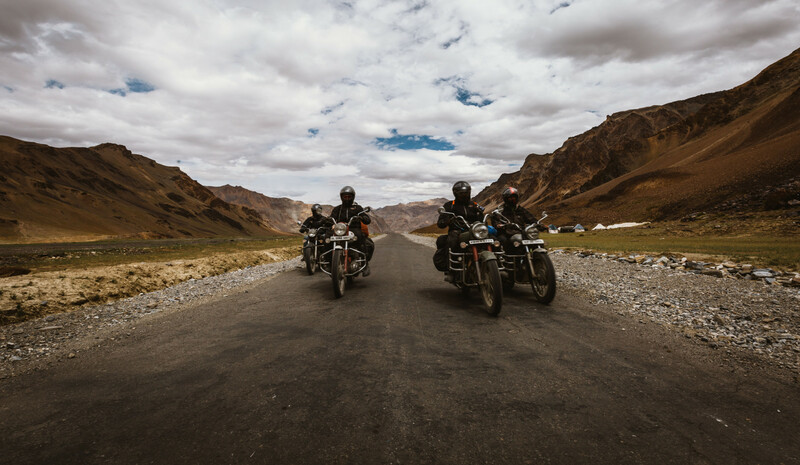 Whether it is the snow covered peaks of Himalayas, hilly areas of North East India or in the deserts of Rajasthan, motorbike tours in India are popularizing rapidly. Let’s take a ride through the lanes of and check out the adventures of bike travel in India. 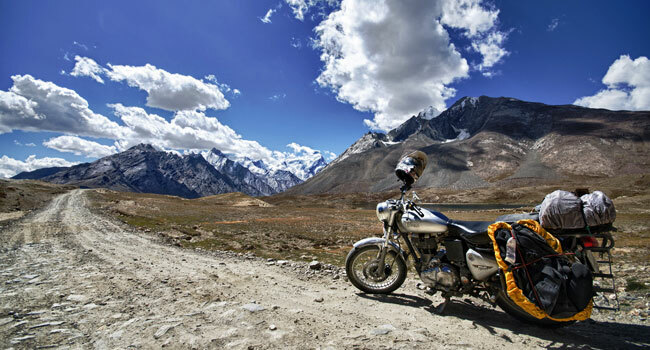 Bikers love this route from Manali to Ladakh and Kashmir and is the most popular motorcycling routes in India. High mountain passes with one of the best automobile friendly roads. Feeling of being in heaven is what makes this ride truly once in a lifetime experience. Ideal bike touring season is between April and August. If you love riding in the monsoons, this route is covered with tropical rainforests and lush greenery all over. Witness the stunning waterfalls, dams, and reservoirs, wildlife sightings are also pretty common while you take a bike ride. This bike riding expedition is available all year around. This is, undoubtedly, the best coastal ride in India This ride, which runs all the way from Mumbai to Trivandrum. This journey can be either done in one shot or in parts. While bike traveling along the coastline, one traverses countless immaculate beaches of mainland India, riding across Maharashtra, Goa, Karnataka and Kerala. Winter months from October to February are preferably the best months to plan your journey. The East Coast Highway of Tamil Nadu may not be as appealing as the NH 17 of Western India because this area is prone to unseasonal cyclones. But nevertheless, you get to meet the Mother Nature. The preferable months for a bike travel are December and January. This route on the Eastern Himalayas is as beautiful, but probably the toughest routes due to the lack of roads. Western Arunachal Pradesh’s laid back lifestyle, roads covered with snow and unique tribal culture make this high altitude route a very interesting one. Spring or winter times are good to take out your motorbike for a trip. While bike touring, beware of the landslides triggered by heavy rains. Taking a ride in a desert is definitely an incredible experience; if you like taking your bike in the arid regions, then this is certainly can get you soaring. Crossing the Thar Desert through Barmer, Jaisalmer and Bikaner in the sand dunes, riding through the erstwhile kingdoms, gives an exuberant experience. October to February is considered being perfect time to take out your bike on a leisure trip. Another desert riding experience across the Salt Desert of Kutch is a very wide stretch of land with barely any difficulty. Speed is all what you need, apply no breaks and just roll on the wheels. Keeping the speed aside, riding in the night is wonderful with its beautiful starlit sky. Beware of the soft sand, this may lead you into a tailspin. Popular riding season is winter again. Fascinating as it may seem, you need a lot of courage to take these tours and learn what it takes to be a long-haul biker. Many parts of Rajasthan also good to ride motorbike. Like Jaisalmer to Tanot Mata temple.